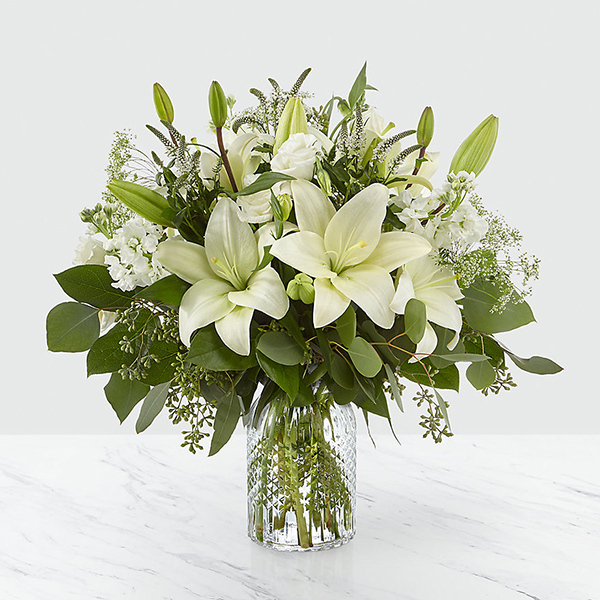 Provide comfort for the family of Terri Lauderdale with a meaningful gesture of sympathy. 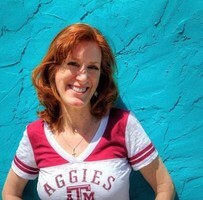 Terri Lauderdale (age 51) of Georgetown, Texas passed away on March 3, 2019 at her home surrounded by her loved ones after a courageous battle with cancer. A Service will be Saturday March 9, 2019 at 10:00 am at Zion Lutheran church 6001 FM 115, Georgetown, TX 78626 with Pastor John Davenport. Terri was born on June 4, 1967 in Endicott, NY to Edward J Girvan and Mary Ann Beacham Girvan. Terri graduated from Round Rock High School in 1985. After graduation, she attended Texas A&M University and graduated in 1989 with a Bachelor of Science in Chemical Engineering. After graduation Terri began her career at AECOM where she worked for 29 years and she enjoyed the work that she did for them. Terri married the love of her life on February 27, 2016. She was an amazing wife, mother, sister, and daughter. Terri had a passion for living life. She loved and served Jesus. The glow within her shined like a lighthouse and she loved helping others and her family. She will live on forever through the way she loved her us. Her passion for worship is now with her healer. Her presence and beautiful smile will be missed. Her guiding bible verse was Deuteronomy 31:8 “The Lord himself goes before you and will be with you; he will never leave you or forsake you. Do not be afraid; do not be discouraged.” Please join us in honoring and celebrating her life with a memorial on Saturday. She was preceded in death by her father Edward J. Girvan. She is survived by her husband Billy Lauderdale, son Ethan Michael Shires and daughter-in-law Elizabeth Anne Birkman-Shires, daughter Kristen Callie Shires, step daughter Katy Ann Lauderdale, step son Zach Pearce Lauderdale. She is also survived by her siblings and their families; brother Edward Francis Girvan, sister-in-law Heather Dee Prete-Girvan, nephew Joesph Edward Girvan, sister Christine Ann Girvan-Holt, brother-in-law John Paul Holt, nephew Duncan Brodie Holt, niece Bonnie Shae Holt, brother James Alfred Girvan, sister-in-law Kimberly Chumley-Girvan, nephew Kameron Chumley- Soltani, nephew Kody Chumley-Hanratty. Her Brother-in-law Bobby Lynn Lauderdale, sister-in-law Donna Elizabeth Arnold. Terri is also survived by her mother Mary Ann Beacham-Girvan, along with numerous aunts, uncles, cousins and friends. 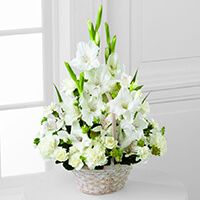 To send flowers in memory of Terri Girvan Lauderdale, please visit our Heartfelt Sympathies Store. Karin Ritter, Round Rock Christian Academy, and others have sent flowers to the family of Terri Girvan Lauderdale. Terri and I worked together for 25+ years. She was sincere, outstandingly talented, courageous, w/ a very sharp/analytical mind. She will be missed! Karin Ritter purchased flowers for the family of Terri Lauderdale. Praying for peace for your family during this difficult time. Round Rock Christian Academy purchased the The FTD Living Spirit Dishgarden for the family of Terri Lauderdale. Our thoughts and prayers are with you and your family in this trying time. 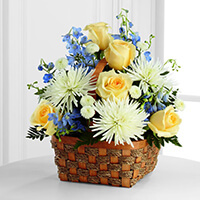 FNI 1161 Family purchased the The FTD Eternal Affection Arrangement for the family of Terri Lauderdale. My condolences to the Lauderdale family during this difficult time. In the Bible, Jehovah God gives us hope. Acts 24:15 says, “there is going to be a resurrection of both the righteous and the unrighteous.” Revelation 21:4 says, “and he will wipe out every tear from their eyes and death will be no more.” Very soon we will see the fulfillment of these promises here on Earth. We hope you find comfort in God’s promises. 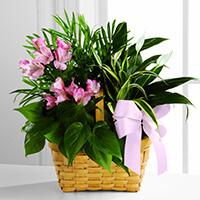 Fiji George purchased the The FTD Heavenly Scented Basket for the family of Terri Lauderdale.